← Ryan Leaf Was Arrested on Drug and Burglary Charges. SERIOUS!? 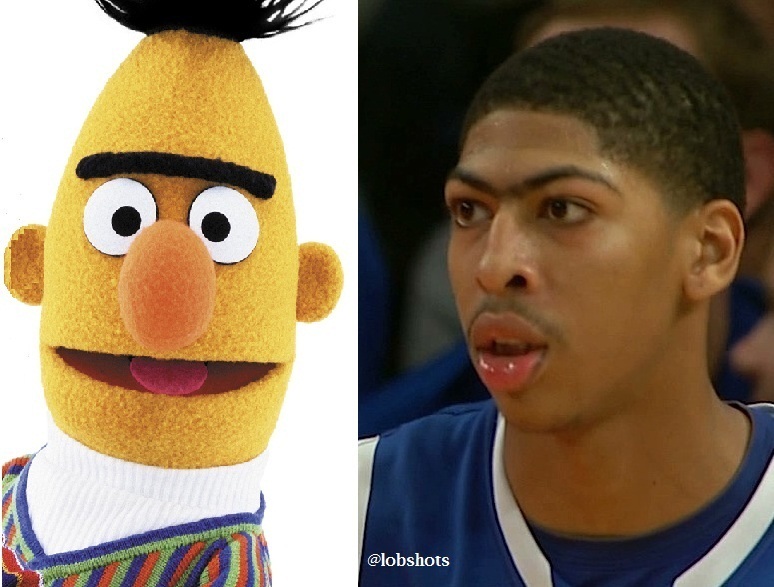 I thought the side by side I did with Bert was gold. This is much, much better. I love that he doesn’t care about it either. No chance he’s shaving that bad boy. 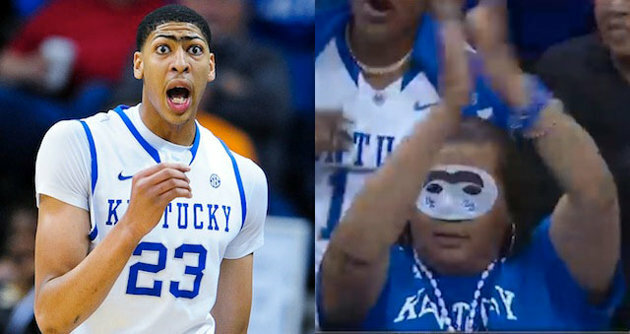 Anthony Davis’ mom rocking the unibrow was pretty amazing too. 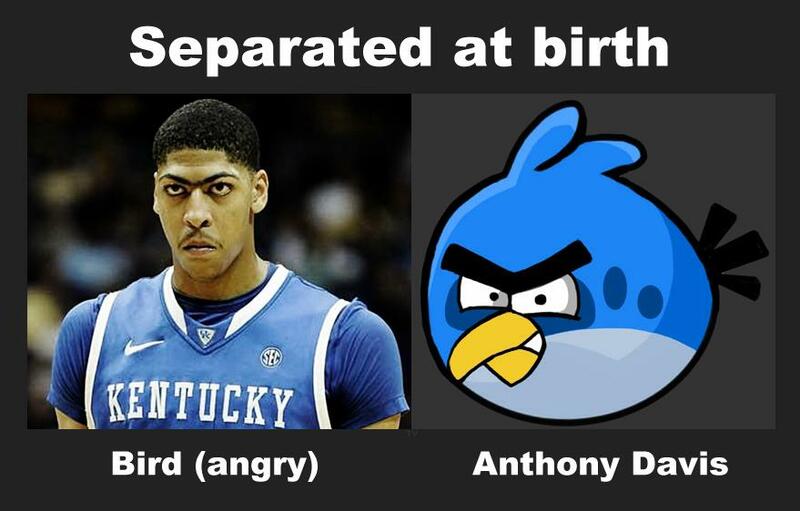 This entry was posted in Basketball, March Madness and tagged anthony davis, anthony davis angry birds, Anthony Davis bert, Anthony Davis burt, anthony davis kentucky, anthony davis mom mask, Anthony Davis unibrow, Kentucky. Bookmark the permalink.